Some marketers quietly believe that an overwhelmed and unknowledgeable consumer is their best target. Our experience indicates that this view is, at best, outdated and, at worst, 180 degrees wrong. Even unsophisticated consumers are acutely aware of the asymmetry of financial knowledge between themselves and the sellers of financial products, services and advice. Consumers’ awareness of this gap deprives many of these potential-customers of the confidence necessary to engage with financial firms. The result? 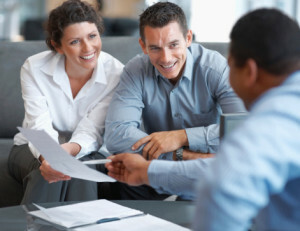 A number of these individuals will simply avoid reaching out to a financial professional to discuss the retirement plan, insurance, annuity, reverse-mortgage or other product they may benefit from, because they first need a basic, unbiased lesson before they’ll listen to a slick sales pitch.